As a digital team, the tools available to us for communicating our messages are ever expanding and we sometimes need to take a step back and think about what is the most useful approach, rather than the most innovative. One of the more recent tools at our disposal is the infographic. But what are infographics exactly? 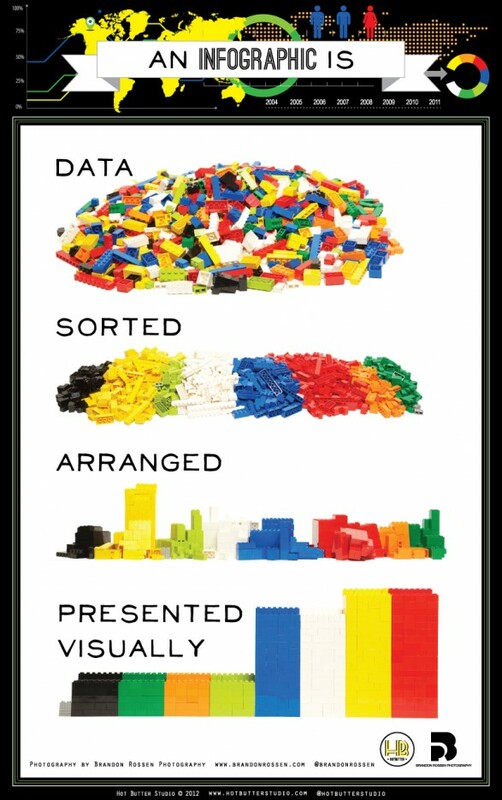 Well, they are actually an excellent way to provide a quick and clear visual representation of data or complex information. Take a look at this infographic explaining what an infographic is! At the Department of Health we’ve dipped our toes in the water when it comes to infographics and have produced a few now. I feel like we have a way to go before we’ve mastered the process but I’m happy to share a few of the lessons we’ve learnt, along with some good examples we found along the way. The first ‘infographic’ we commissioned was to help explain what our 100-page information strategy for health and care would mean to 'real' people. It received more than 10,000 views in the first 10 days and was shared widely on Twitter, though I feel really it’s more like a ‘policy-graphic’ than an ‘infographic’! We also produced an infographic to give an overview of what the health and care system will look like from April 2013, and plan to make it interactive a bit further down the line. My favourite examples are the ones we used as part of the Dementia Challenge which were actually produced by the Alzheimer's Society. 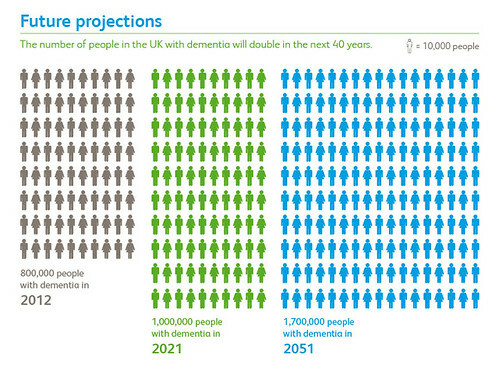 This one shows the future projections for the number of people with dementia in the UK. It works really well as it clearly shows the scale of the problem in one simple graphic, with very few words needed to support it. Here are a few of the key lessons we have learnt so far, which shows that really most of the same rules apply for infographics as they do for planning and commissioning other communications products. Start by clarifying your objectives. What story are you trying to tell? Is there a call to action? Don’t assume that an infographic is the right tool for the job. Never decide your tactics until you are sure of your objectives. No number of pretty pictures will help explain a policy if your policy isn’t actually clear. Whatever communication method you use, your message needs to be clearly defined from the outset. Make sure your data is correct. Check your stats thoroughly before you start. Or you’ll just have to start again from scratch. Make sure you leave enough time. Just because the final product looks simple doesn’t mean they’re always quick and easy to produce. Proofread your text thoroughly. The supporting text needs to be just as clear and easy to understand as the images. Test it on people first to ensure it makes sense out of context. Think about how are you going to promote your infographic once it’s created. Make sure it is easy to share, whether embedded, as a jpeg, or slideshare, through flickr or vimeo. The Guardian also regularly produces a variety of infographics. This one shows Government spending in 2010-11. And another good example is the four-page stroke infographic produced by the Wellcome Trust. In a related post, their Information Designer Paulo Estriga talks about how he developed the infographic. Also take a look at the Information is Beautiful Awards website for more examples. Excellent! I have been waiting to see smarter use of big data in the NHS and your team has initiated this journey with the right proportion of enthusiasm and caution. Well done! Thanks for sharing Alice. Really helpful!